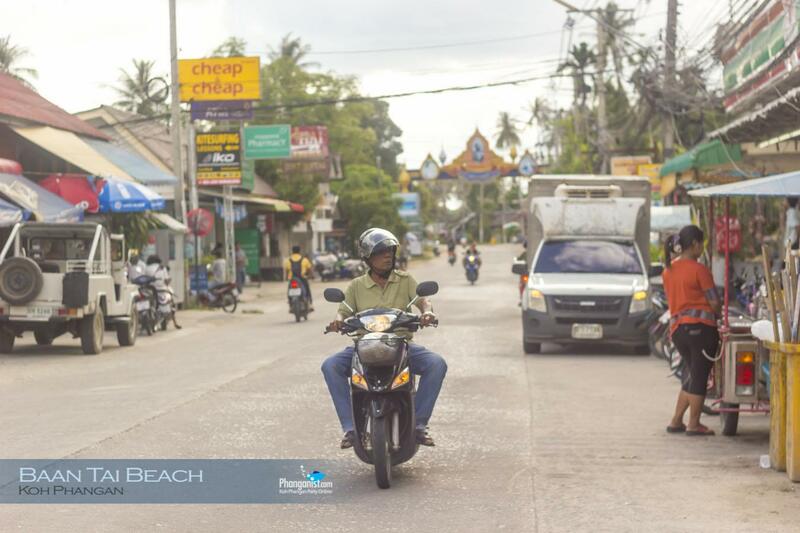 Between the island's main city Thong Sala and its primary party beach Haad Rin is Baan Tai Beach. 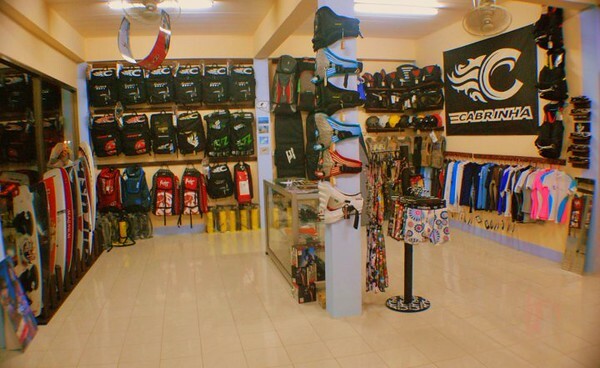 Unlike Haad Rin (where everything is in walking distance interconnected by means of narrow one way roads lined with shops, hostels, restaurants, and bars) here you will find yourself to be more comfortable with a vehicle for transportation. For those that have time at their leisure, and that enjoy a little bit of exercise in their day, many places have bicycles also available for rent . There isn't a hill too steep around here so it’s easy to cruise around and get aquainted with the beautiful surroundings and local atmosphere. 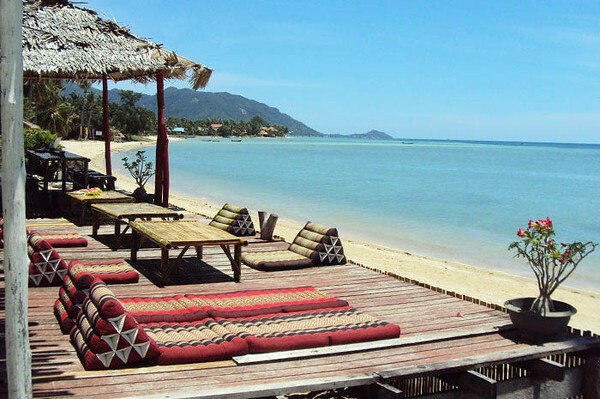 Most of Koh Phangans long stay residents, party organizers, and land owners reside here in homes on the beach or deep in the jungle. 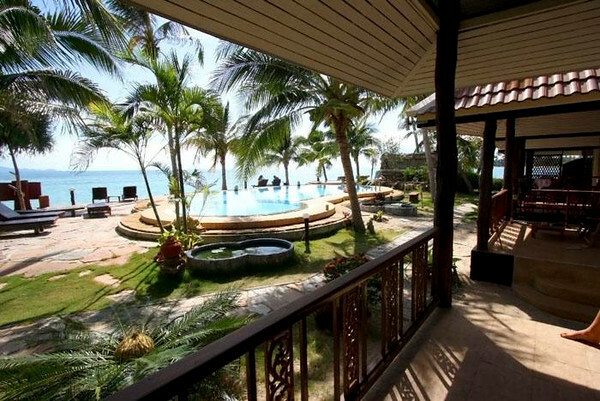 There are many private houses and bungalows available for rent (monthly or weekly) if anyone is looking to stay longer than a few days. 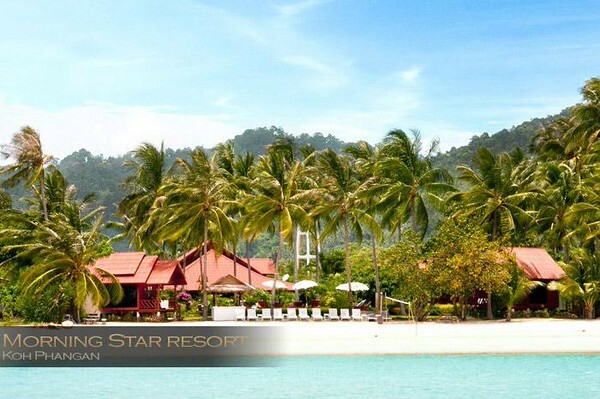 As for accomodation, if you prefer to stay in a quieter environment and are able to pay a higher price on a room, Baan Tai hosts a vast selection of nice resorts to be choose from with views of Koh Samui from the coastline and gorgeous sunsets. 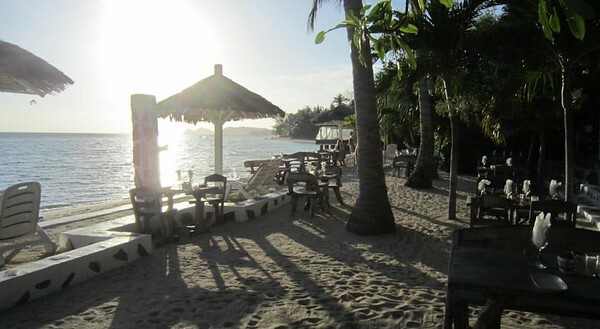 Several of Koh Phangans most esteemed restaurants (Fisherman's Restaurant and Fish at Thips to name a couple) are all highly recommended dining ideas...not only for their delicious dishes, but also for being the ideal location pro witnessing this beaches renowned sunset amongst great people...and maybe say, with a frosty pina colada or an ice cold beer? The road everyone takes when going to the northern sector of Phangan is this towns centerpoint with the famous Baan Tai 7-11 on the corner. All the big festivals in the Jungle (Jungle Experience, Halfmoon, Shiva Moon) are off this road. 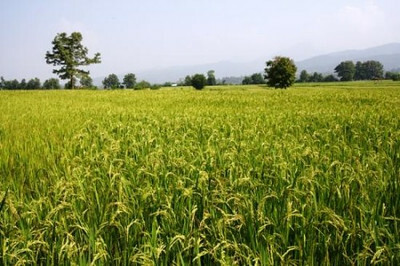 The lifestyle of the people here is more reserved and calm. The parties are another story all together. 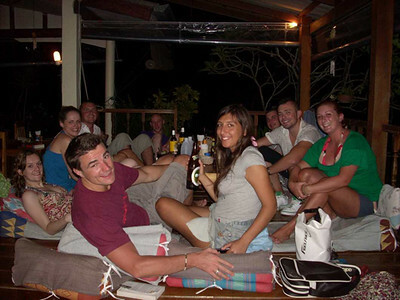 These jungle parties are the biggest on the island next to the Full Moon Party with thousands of people gathering at each and every event. 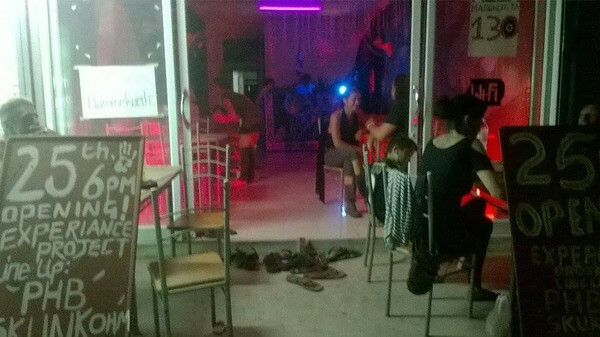 The smaller parties, with their more intimate ambiance, are where the locals gather and break it down on the dance floor. 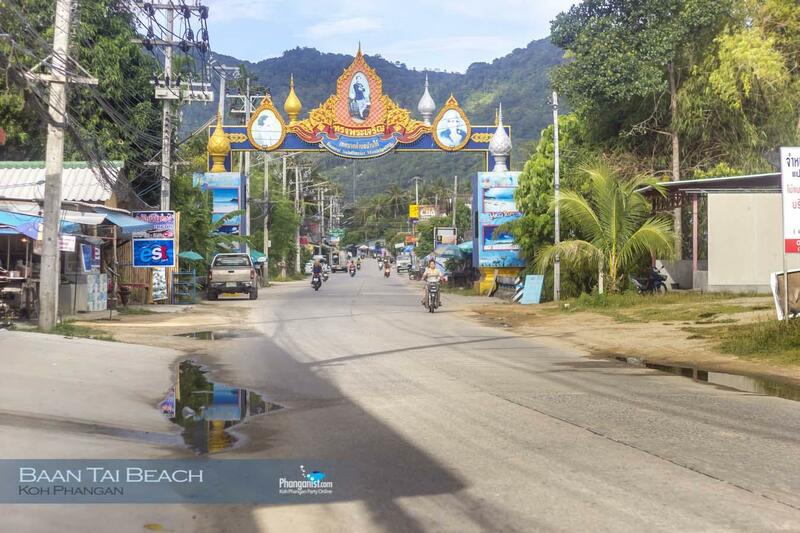 Most of these smaller parties (Loi Lay Floating Bar, The Place, and Baan Sabai to name a few) are located along the main road, easily found by means of a lantern trail (on both sides of the road usually) that link the spot of interest to the main road with dots of fire. 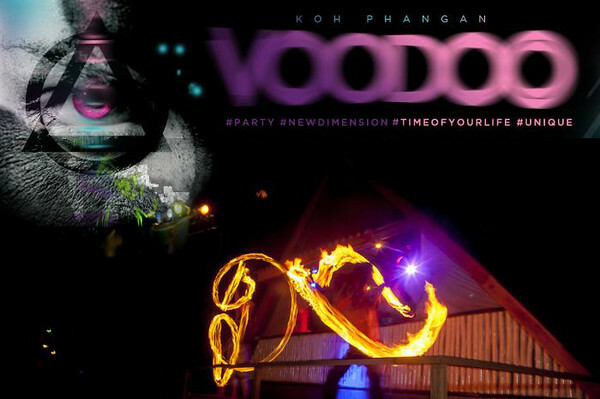 The Jungle Experience is the biggest House party on Koh Phangan happeing outside the Full Moon night. There are 2 Jungle Experience parties during the month, the first one is 4 days before the Full Moon and the second one is 1 day before. 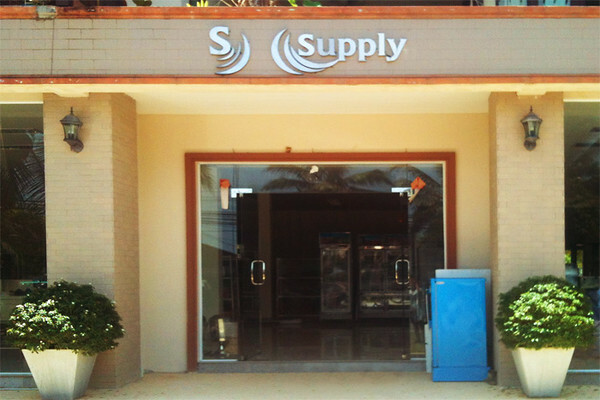 The venue located at Baan Tai Jungle 5 minutes drive from Seven Eleven Baan Tai. 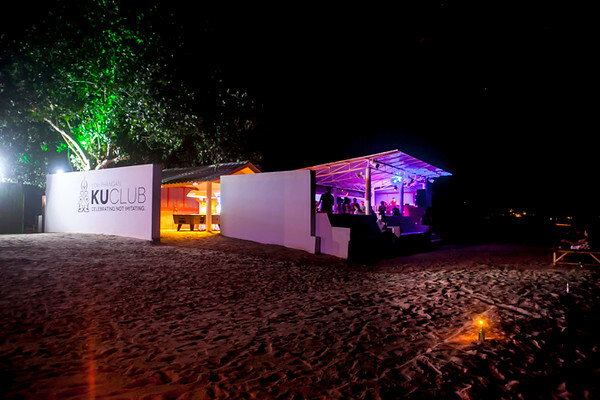 The Blackmoon Culture party occurs in Mac's Bay resort on Baan Tai beach. This party started about 13 years ago and have continued ever since. Many Trance music lovers arrive to the island especially on the this week to experience a Full Psy party right on the beach. They play proper dark and Psy Trance music all night. In the morning hours Progressive can be heard too. 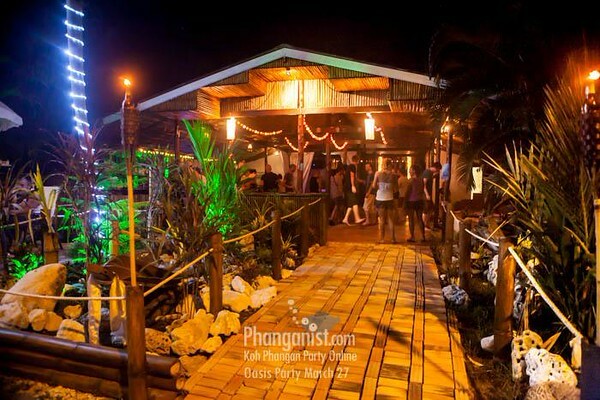 Loi Lay Boat Party Koh Phangan’s only Floating Bar & Lounge. 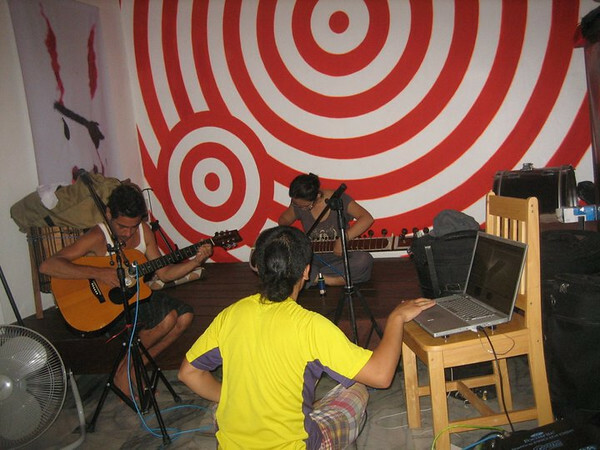 Every Sunday night Loi Lay hosts their famous Sunday Tech House Party from 9 PM to the early sunrise. 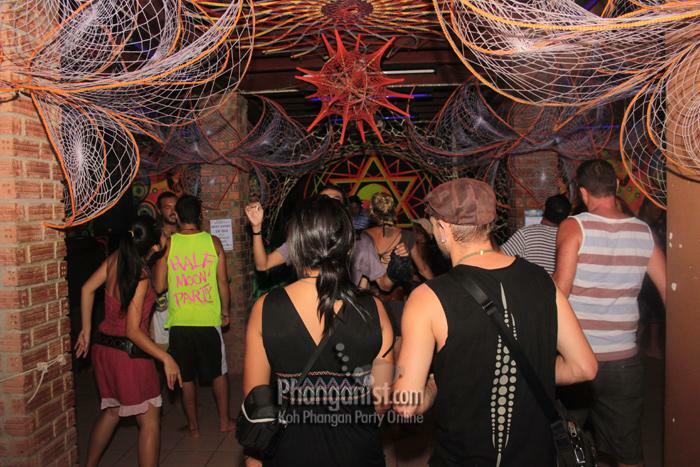 The Sunay parties are quite popular among the Electro Funky House Crew of the local Thai’s and Fallangs. 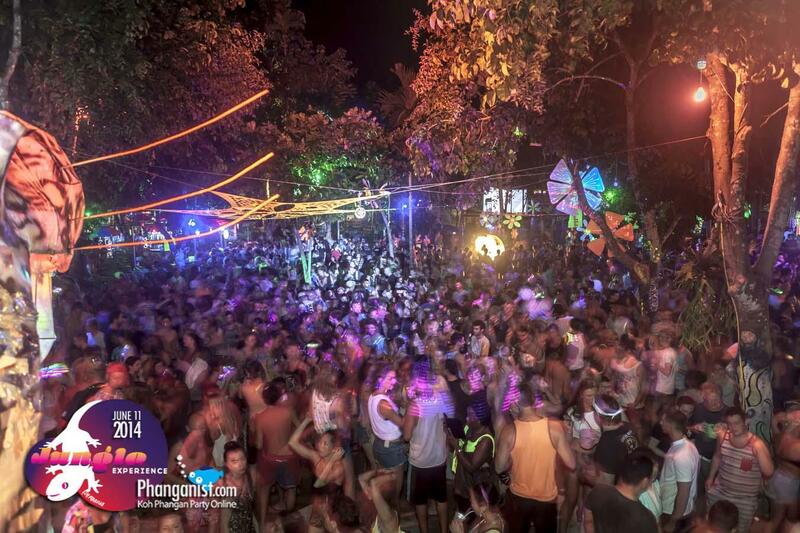 In the jungle Baan Kai, at the heart of the valley and under the beautiful Sramanora waterfall there is a Techno party running. 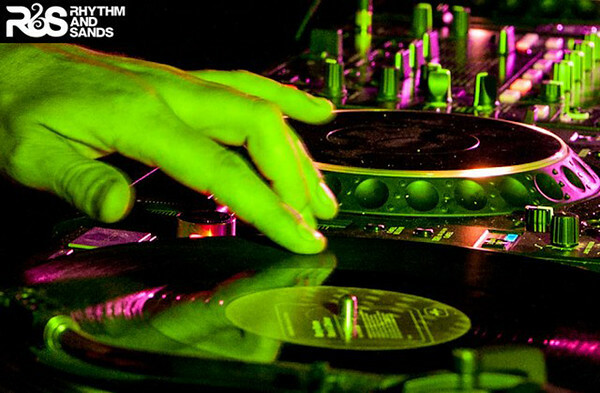 Tech-House and Minimal vibes dished out by International DJs and Djanes. 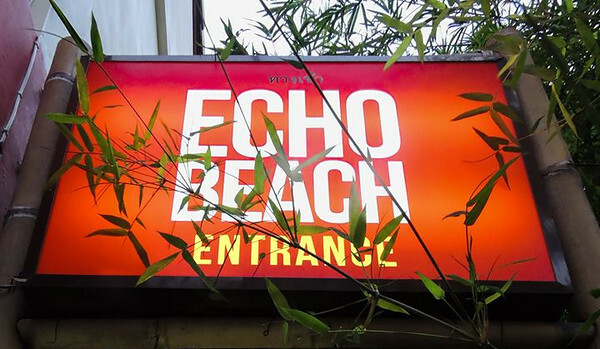 A sweet Mix of Guest Djs and residents on the Island! Resident DJ PHB - Pure Human Beat. 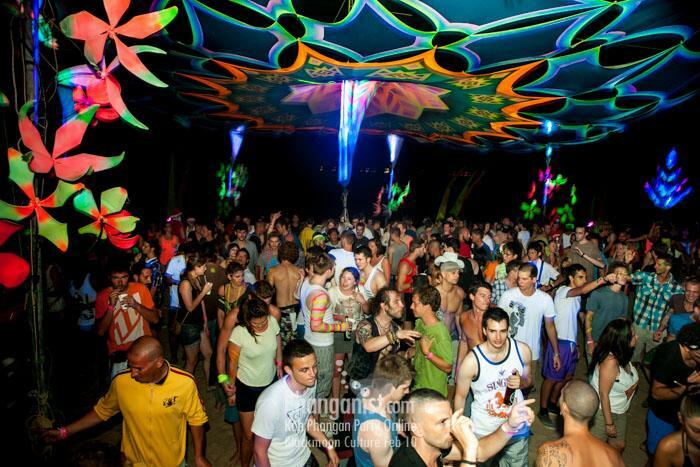 Shiva Moon party in Baan Tai jungle about 5 minutes drive from Baan Tai Seven Eleven. 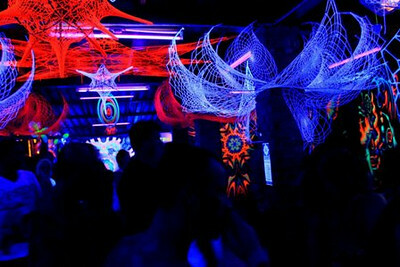 This is an old school Trance playground and considered one of the favorite parties the the Trance family who visit the island often..A beautiful garden with trance vibes where they play Psy Trance all night in a small but beautifully decorated valley in 3 natural dance floors! 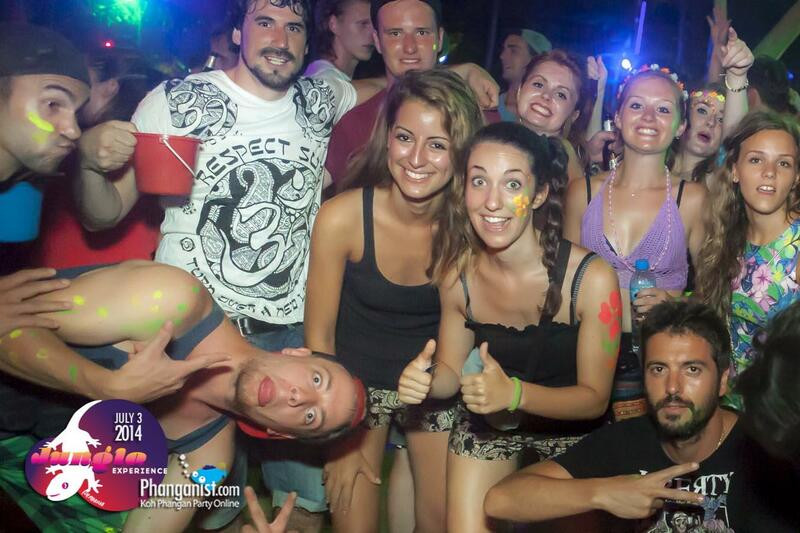 The Halfmoon festival happens twice a month, This party is the biggest event on Koh Phangan after the Full Moon Party. 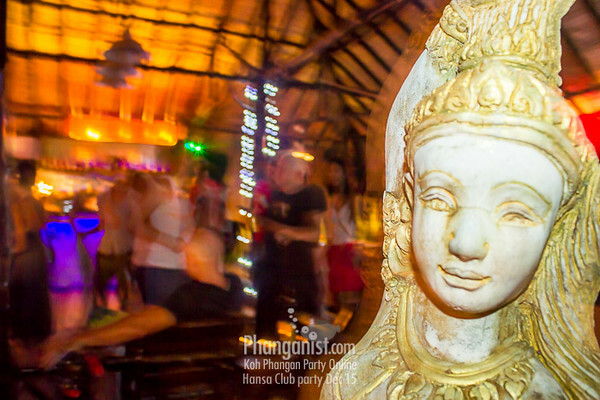 many party lovers conquer the island twice a month especially to participate in this event.he party starts at 8pm with Live music shows and Art performances such as fire dancing and traditional Thai dancing and continues all night long till 7 in the morning. 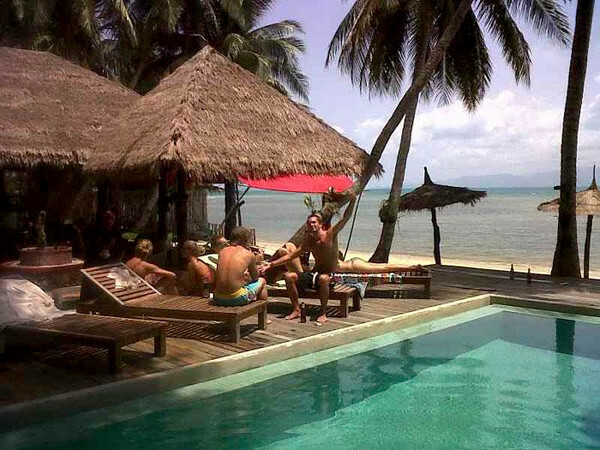 Ban Sabaii beach after-party is 1 of the most well-known phenomenon among Phanganists and visitors! 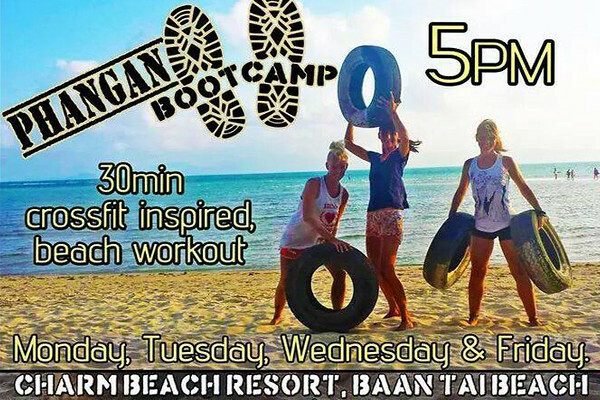 Ban Sabaii will be starting in the mornings either right after a Moon party or by sunset the following day. This Trance party will bring you to an even further conclusion of your party night and is recommended as a sweet come-down from the big party the night before. Fresh honey straight from the bees from Tan. 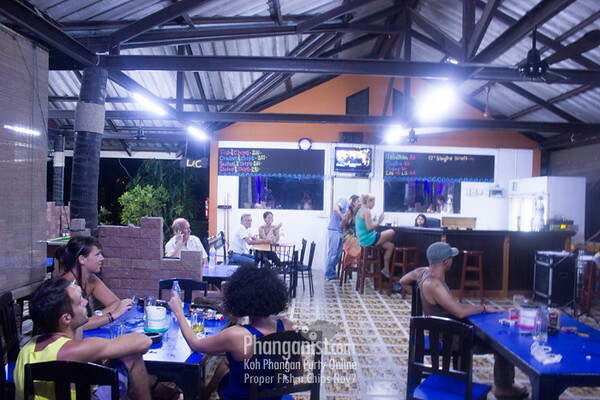 Welcome to Cats in Space: The newest, shiniest star in Koh Phangan's party-hostel night sky!Join us and become a member of the Space Cat Force! Meow!!! Join us tonight Ritual Bar and Restaurant on the secret mountain at Baan Phu Mai Ngam for a lovely sunset, great food, and a stunning view of the island. 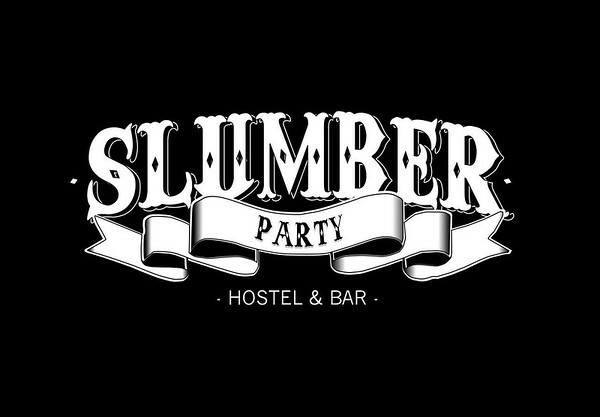 A PARTY HOSTEL ON THE ISLAND OF KOH PHANGAN!!! 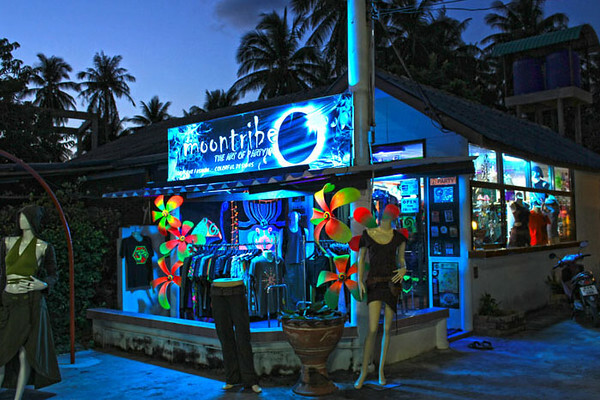 HOME TO THE FAMOUS FULL MOON PARTY. Always fresh seafood, European, Italian and Japanese cuisine. A wide range of wines and cocktails. Nice view of the sea. Sunday is only Japanese cuisinе. 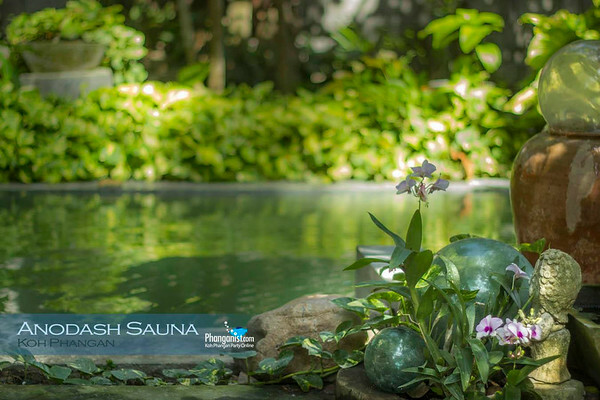 A natural setting with water & plants that refreshes the senses and recharges the spirit. 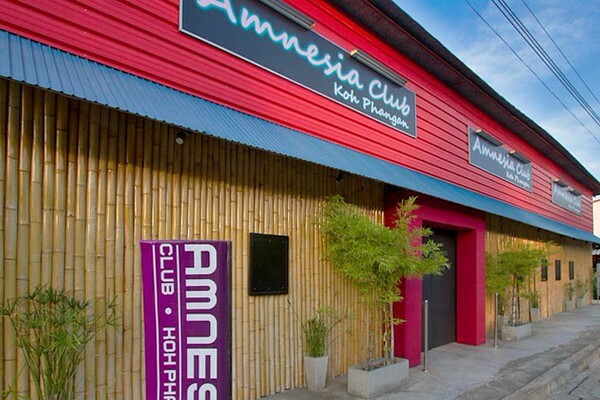 "A place where you can enjoy Funky tunes and melt into a crowd of happy people !" Open Air Muzix Festival! 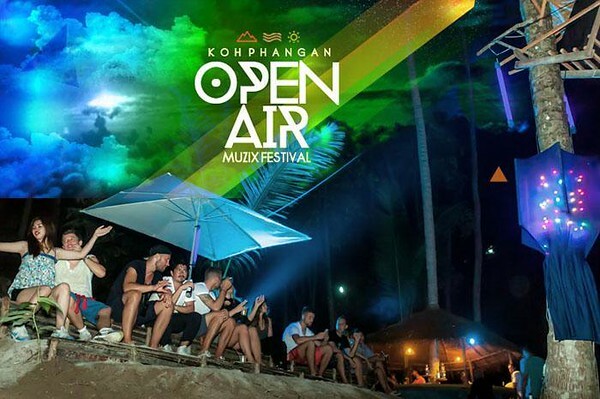 Open Air Muzix Festival is a Fusion that goes from Funky Melodies to Banging cadence in the middle of Ban Tai Jungle! 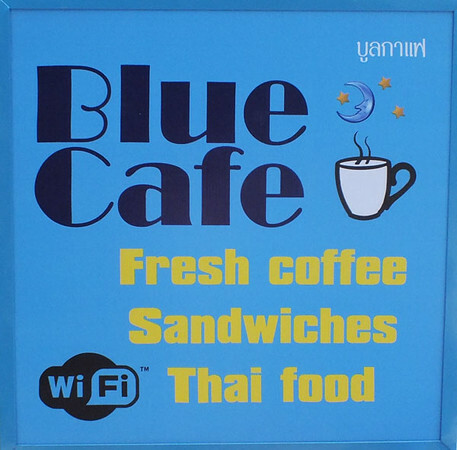 A Cafe and a restaurant serving Western and Thai food in Baan Tai. Zipline at the forest of Koh Phangan on the way to Thong Nai Pan.Make a round trip through 8 cable walkways and zip lines and fly past the trees. Just for Fun provides safety equipment with the best european standards and trained French staff. Small cafe and restaurant ant the center of Baan Tai in front of the Seven Eleven. Famous for its Thursday Goulash. 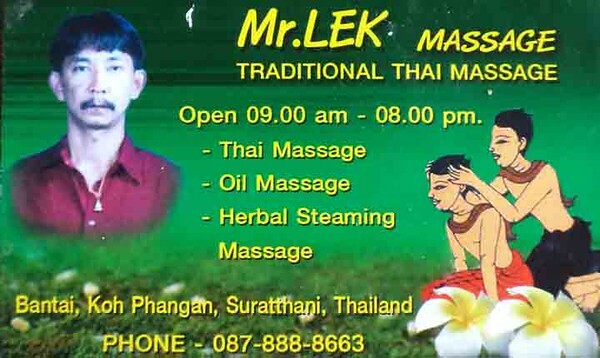 Serves Thai and western food. 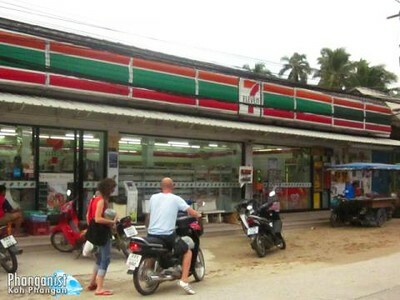 The Seven Eleven of Baan Tai located at the cross road leading to Thong Nai Pan. This Seven is also the center of Baan Tai area and you can find people hanging inside the shop and outside on the bentch day and night. 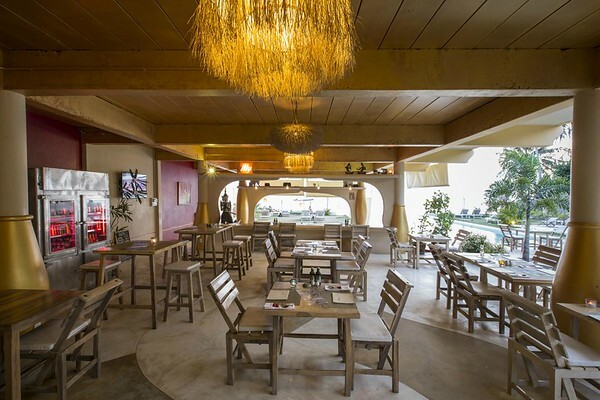 A bar and restaurant in Baan Tai, dedicated for live music and hosts a Jam Session every week. 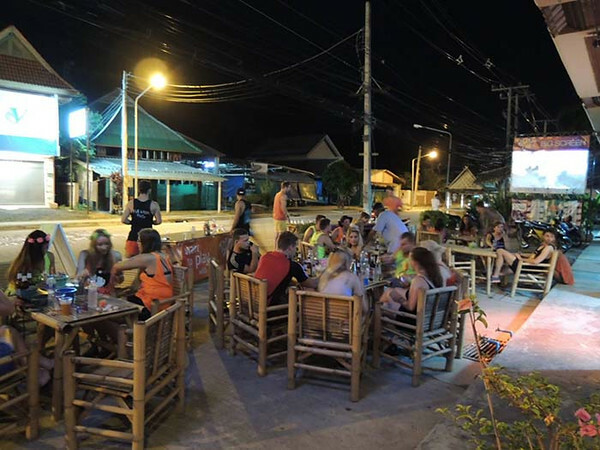 A Bar and party place located at the south part of Koh Phangan. There are parties there about 2 times a month. 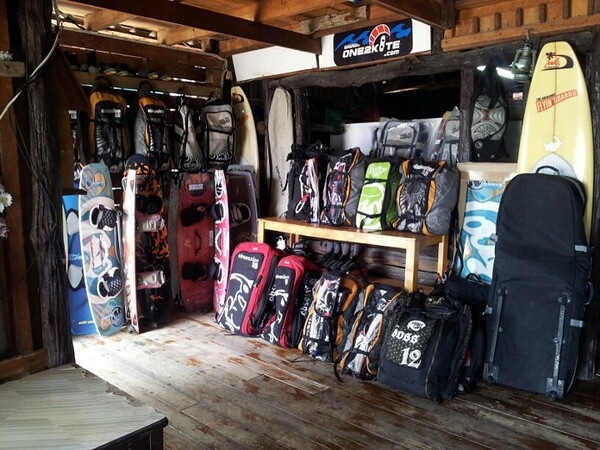 A kite Boarding, diving and wind surfing and many various water sport activities. 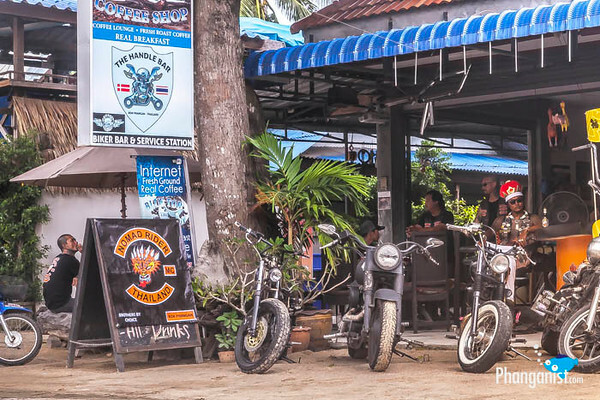 An easy going place located at the jungle parties area of Koh Phangan. A good place to learn and stay if you would like to combine both. 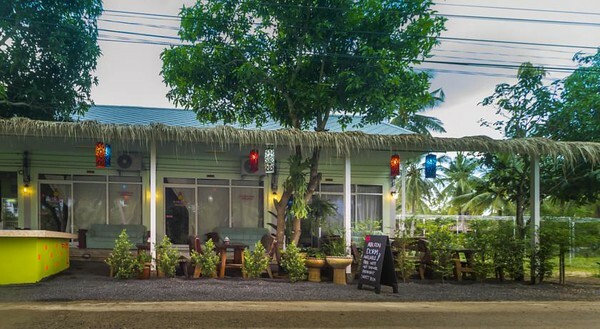 A restaurant located right at the right turn from Baan Tai area towards Haad Rin, not far from Baa Tai seven eleven store. 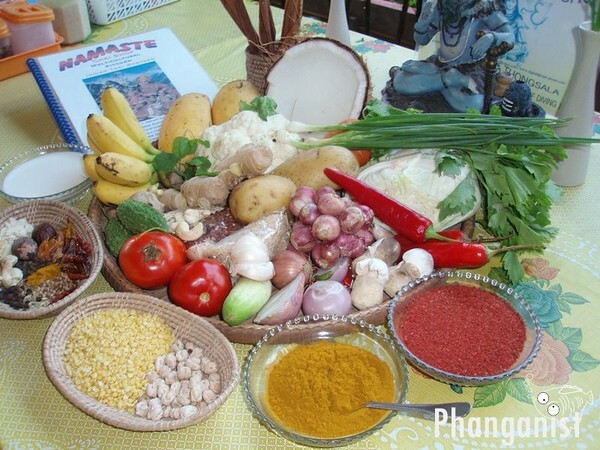 Thai and western dishes offered. 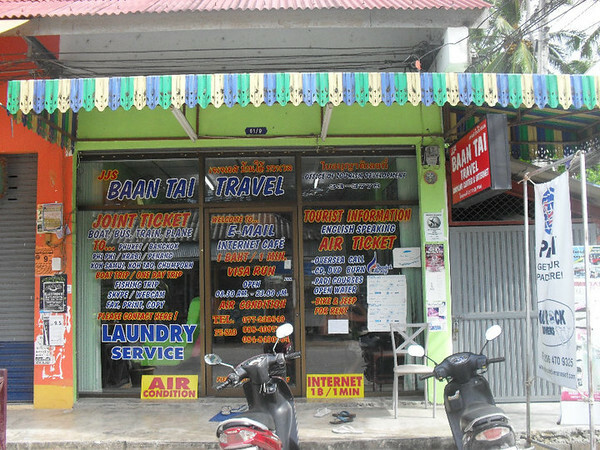 A travel agency and one of the most central places in Baan Tai at the south part of Ko Phangan. Every body in that area knows Psao, the owner of JJS, and Psao is the one to ask about evertything happen in Baan tai area. Fresh local Seafood prepared by Chef Lek. Popular dishes include: Yellow Curry Crab. 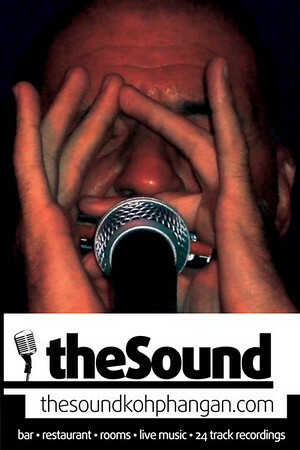 Baracuda Set, Thai Food Lek's style Fish ‘n’ Chips and more.. 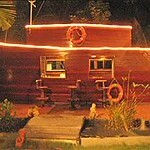 Restaurant located at Baan Tai at the south side of Koh Phangan. 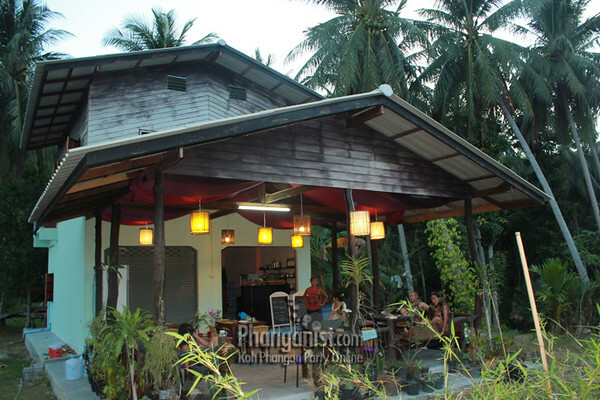 A restaurant located on the main road between Baan Tai and Thong Sala at the south side of Ko Phangan. 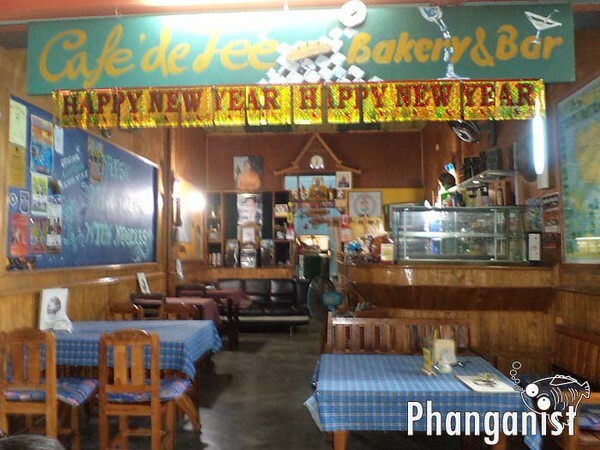 The place mainly offer Thai dishes, and there is also a possibility to rent a private Karaoke Room. 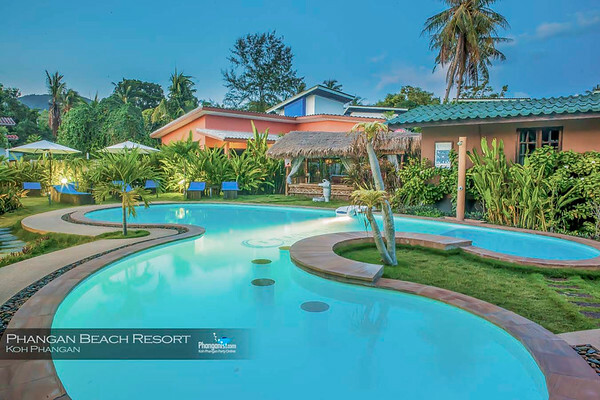 Paradiso Beach Spa is a beach front spa. 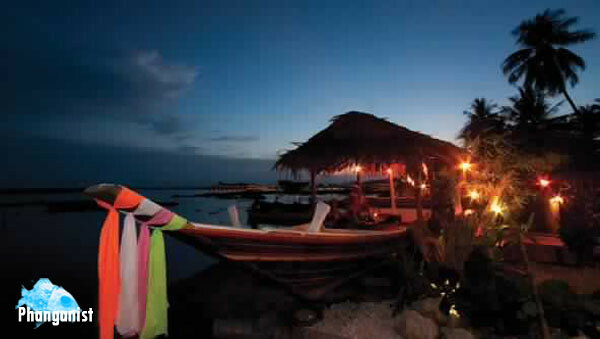 Our facilities include: Herbal Steam Sauna, Massage Treatments, relaxing beach spots & health products shop. 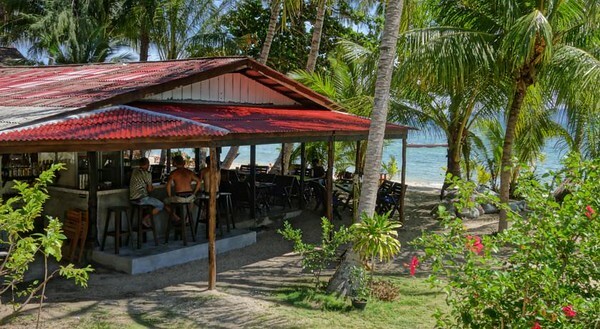 We are located on Ban Tai beach, Koh Phangan. 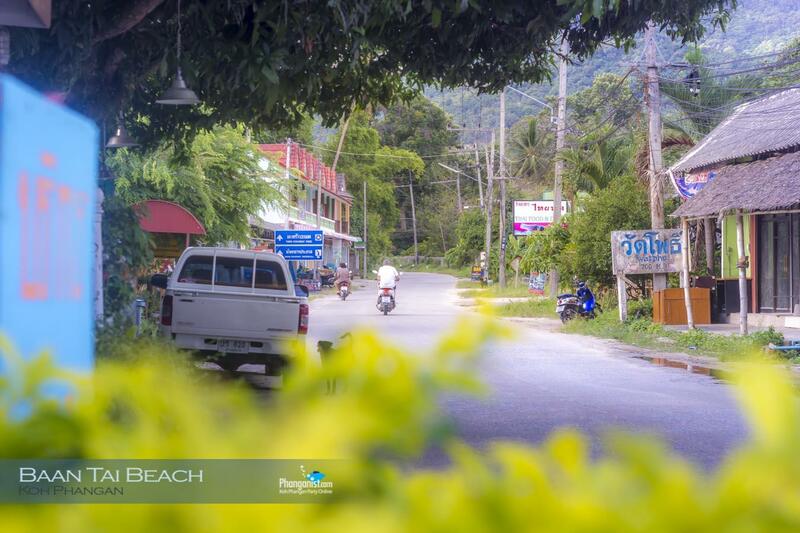 Welcome to Goodtimes Koh Phangan! 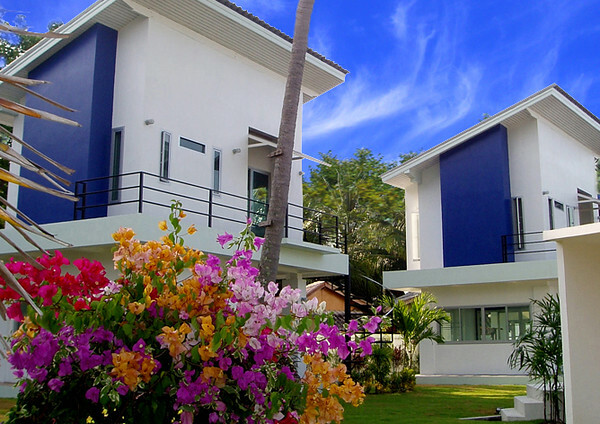 New AC dorms right on the Beach!We also have a pool, restaurant and funky bar. 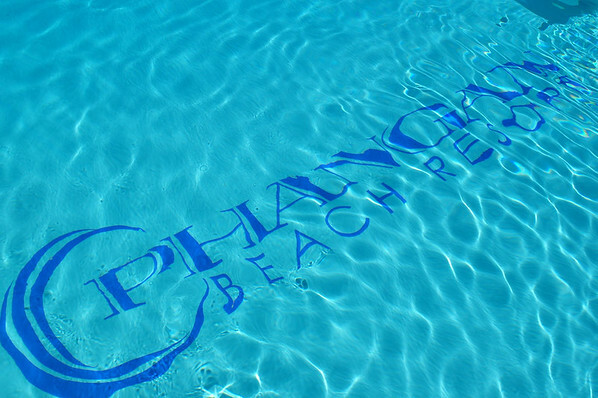 Warning: you may not want to leave! 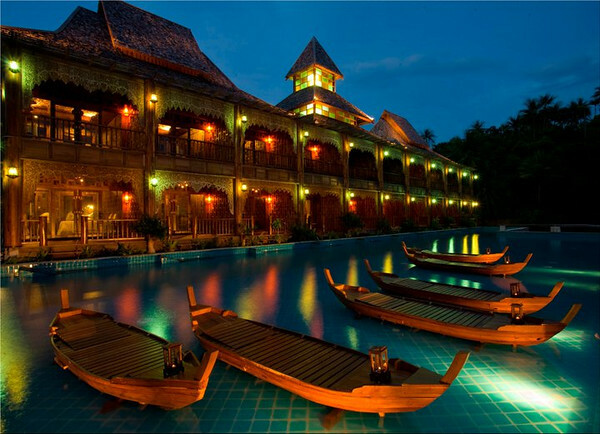 Phangan Arena create a league of Koh Phangan, local and international tournaments. Register with us via Facebook or by phone. 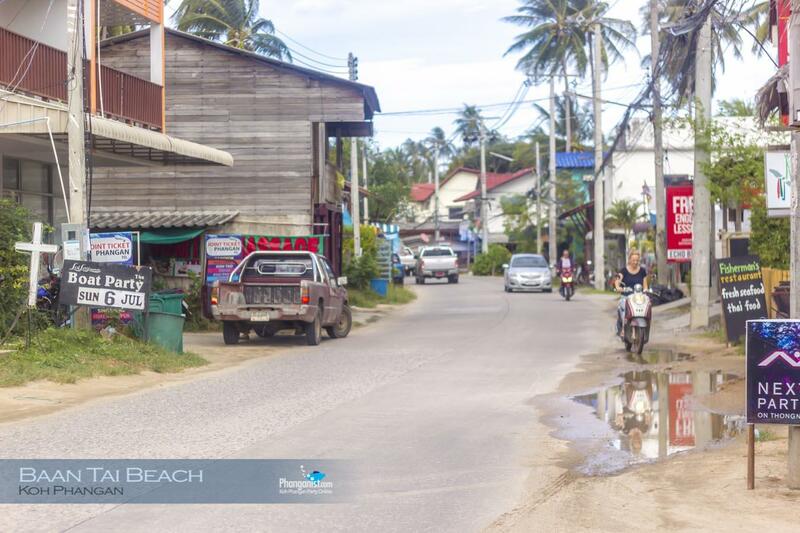 Welcome to Baan Tai Beach. 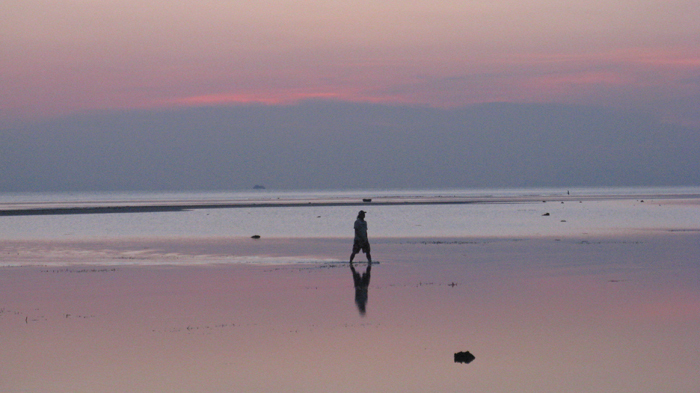 This beautiful strip of beach runs between Thong Sala and Baan Kai. 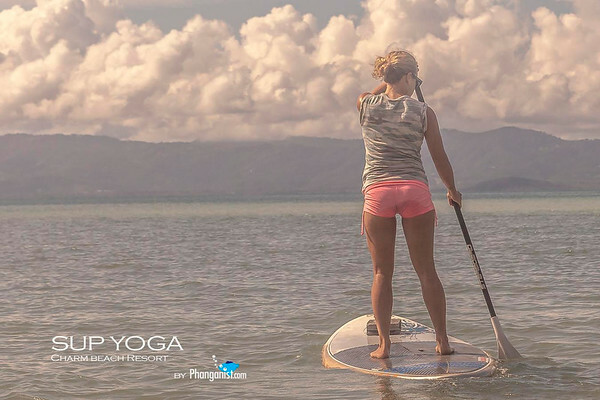 It has shallow water yet is peaceful and calm and is a popular place for watersports such as Kite Boarding. Embedded videoVideo by Kabir. This was left at Mr Moon Hammock Lovers yesterday and contains money, he is holding on to it and hoping to give it to its rightful owner! Let us know if it's yours or someone you know!